Do you want to get a portion of the adrenaline? Then go for a snow safari in Bukovel! You will snowmobiling in the snow-covered Carpathians, beauty and charm of which can not be described in words. The picturesque scenery, crystal clear lakes, mountain streams, rich cultural heritage — all waiting for you in the perfect place of Ukraine — in the Carpathians. Snowmobiling — is not only for desperate adventurers, this pastime is suitable for nature lovers and romantics, who can appreciate the beauty of the Carpathian peaks. To go on snowmobiling tours, you don’t need to have any special skills or knowledge. It is enough for adults to listen to instruction and make a few training rides to master this type of transport. The fact is that modern snowmobiles are extremely easy to operate and all the necessary buttons located on the steering wheel: to go, press the right thumb on the gas lever, to stop — release it. But you should not worry, because all the tourists accompanied by a professional instructor, who will set direction and speed. There are also stops in the tour to enjoy the beautiful views. But remember to maintain safety while snowmobiling, which is the main component of an amazing rest in Bukovel. Are you ready to get vivid emotions? Winter safari in Bukovel will fill your family vacation with new vivid emotions. You’ll become the main hero of a memorable journey and mix the rest in the mountains with new impressions. 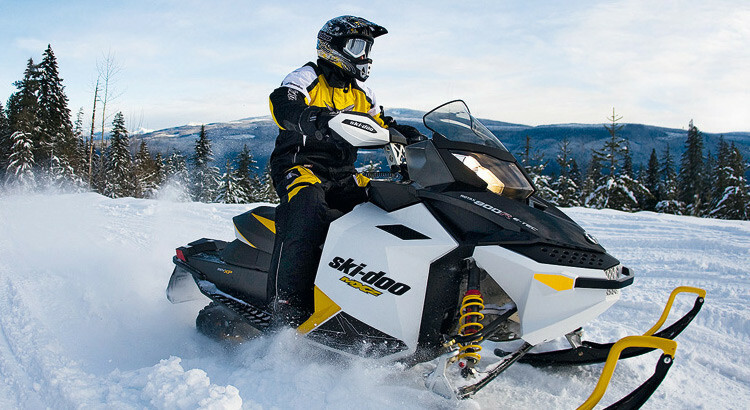 Snowmobiling — is the best way to have fun and spend a good time with friends or beloved in the winter. That portion of the adrenaline and positive emotions you get, will give you strength in working days and make them not as gray and bleak.